I need a new dress. I do! I simply must have the gorgeous top by LeMuse. WHY ON EARTH, you ask, would someone who makes fabulous one of a kind, original design, fun to wear clothes buy a new dress made by someone else? Because I love LeMuse clothing and want to support the beautiful muse behind the beautiful and unique clothing. Lina designs and creates the remarkable pieces featured in her shop, www.LeMuse.etsy.com. 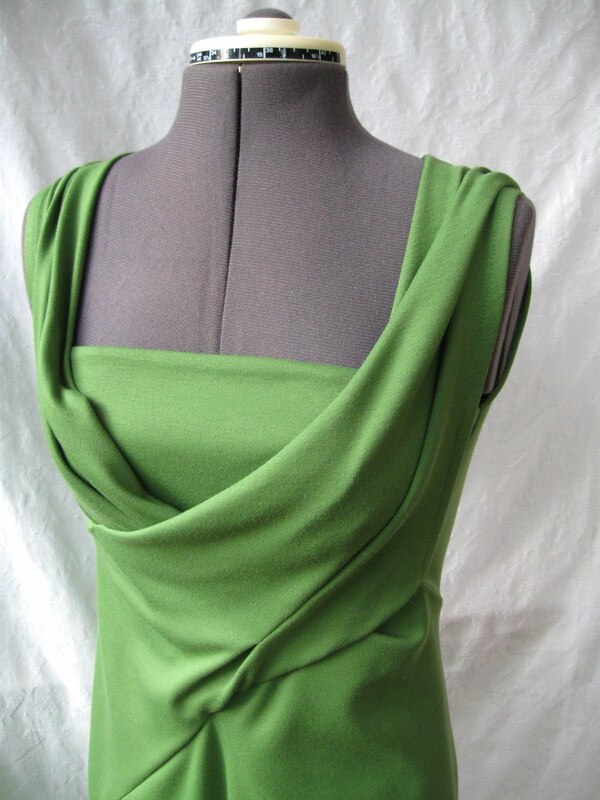 I ordered her top, "Asymmetric Muse Blouse" yesterday. It is my donation to Virginians for Alternatives to the Death Penalty. 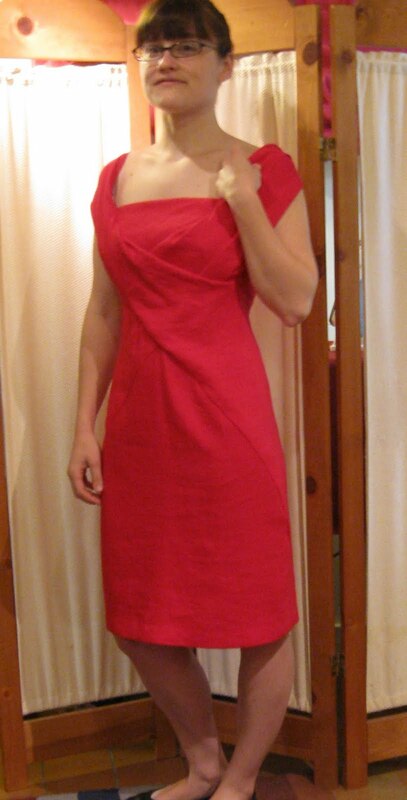 Here, the deep redpink linen version of the dress. Thanks to the beautiful Elizabeth for modeling it! I will take any number of orders for this custom/made to measure dress. Of the amount you pay for your version of the dress only a small portion will go for materials, the lion's share will go to Virginians for Alternatives to the Death Penalty. Because I am donating my labor when I make this special dress. I will take any number of orders for this fund-raiser dress! Want a beautiful new dress? I can make it in whatever color you want. Want your money to go to Virginians for Alternatives to the Death Penalty? I will take any number of orders for this fund-raiser dress! 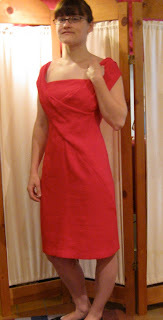 And I will send every bit of what you pay for the labor portion of your custom, made-to-measure dress right on to VADP. For this dress, I began with a commercial pattern, but I redesigned it here and there for more flattering and more comfortable effects. 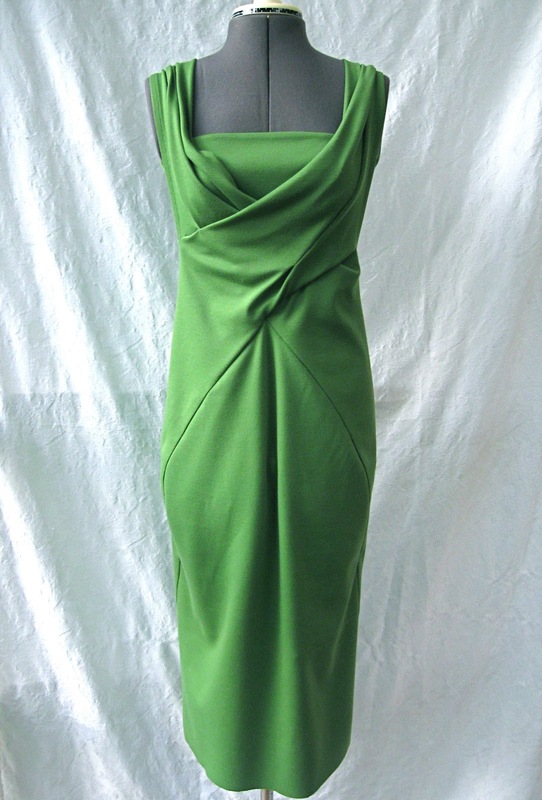 The green knit version of this dress now belongs to me (I had it up for sale as a one-of-a-kind dress, but decided I just can't part with it!). What is for sale in my Etsy shop now is your chance to have me replicate my green knit dress to YOUR measurements and specifications. And I am going to donate all my labor. Go to the listing in KathleenTempleTailor to read more about the dress and about how the donation to VADP will work. Thanks!